1Not available with special finance or lease offers. Take delivery by 04-30-2019. 2Not available with lease and some other offers. See dealer for details. 3Must finance through GM Financial. Some customers may not qualify. Not available with some other offers. See participating dealer for details. 4Must own 2005 or newer a NON GM vehicle in the household. 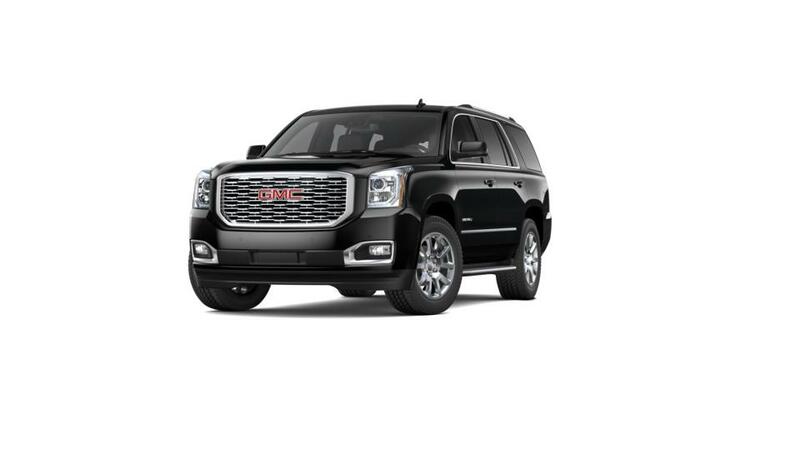 The GMC Yukon, available in Watertown, is an SUV that is reliable and a great family vehicle. It features three full rows of seating that can accommodate up to nine passengers, and the entire family will stay connected on the go with the available built-in 4G Wi-Fi. Plus, cutting-edge safety features such as Rear Park Assist and Blind Zone Alert will help you feel secure and in control of the road. All in all, this SUV is great for road trips, with plenty of room for storage and an amazing towing ability. Visit Buick GMC of Watertown near Waterbury and Bristol today. Browse our inventory of new GMC Yukon models, available at our Watertown dealership close to Danbury, to choose the color and extras that are best for you. Feel free to call us at (860) 631-5745 or contact us online to learn more about the Yukon leases available at our dealership.